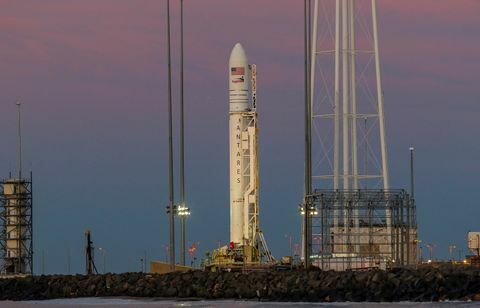 Launch operations at NASA’s Wallops Flight Facility have taken on a higher tempo - of agility, innovation and speed - as the Antares team prepares the rocket to take on a new capability. Soon a specialized removable nose cone called a “pop-top” and a mobile payload processing facility will provide direct access to the company’s Cygnus spacecraft for cargo loading just 24 hours before launch. Operators maneuver the mobile payload processing facility over the front of the Antares fairing and seal the opening to provide a clean-room environment. The Antares fairing pop-top is then removed, providing access to Cygnus for loading cargo just 24 hours before launch. 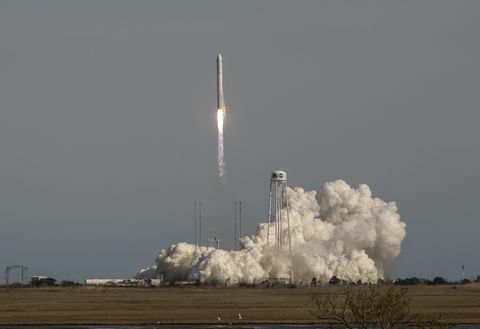 Antares and Cygnus support the company’s Commercial Resupply Services (CRS) contract with NASA, regularly delivering critical cargo, science experiments and supplies to astronauts on board the International Space Station. This new late load capability is an important feature for time-sensitive scientific experiments and cargo. The first use of Antares’ late load capability will be demonstrated with Northrop Grumman’s eleventh CRS mission (NG-11) planned for April 2019. In preparation for NG-11, the combined Antares/Cygnus/Virginia Space team is performing a pathfinder, or dry run, of late load operations. A mock first and second stage used to simulate the rocket stack are currently mated with a demonstration Cygnus and the newly designed NG-11 fairing with the pop-top at the forward end. The program’s current timeline for final cargo load is four days before launch, with Antares rolling out to the pad two days prior to launch. 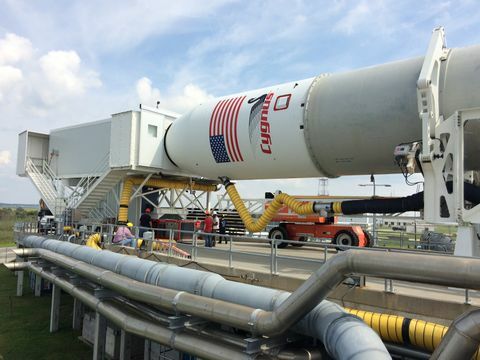 For late load operations, Antares will roll to the pad four days before launch and mate all connections needed for launch except for the liquid oxygen loading line. The team will then raise Antares to its vertical launch position and perform a full combined systems test to verify all systems are working properly. Once all the pre-launch testing is complete, operators will lower Antares to a horizontal position, maneuver the mobile payload processing facility over the front of the fairing, and seal the opening to provide a clean-room environment. The team will then put platforms in place, remove the pop-top from the nose cone, open the Cygnus hatch, and load the final time-sensitive cargo. After completing the cargo load, operators will close the hatch, remove the mobile payload processing facility, raise Antares to vertical again, and make all final ground connections in preparation for launch. Eberly said the combined team really came together to make this pathfinder event possible. Along with the pop-top feature, this is the first fairing that was built in-house at Northrop Grumman’s large composites manufacturing facility in Iuka, Mississippi. Virginia Space, the operator of the Mid-Atlantic Regional Spaceport’s Pad-0A where Antares launches take place, has been an important partner in preparing for the late load operations by making necessary pad modifications and supplying manpower for the pathfinder operation. Antares also launched the tenth cargo resupply mission for Cygnus on Nov. 17. Today, the NG-10 Cygnus remains at the International Space Station, with departure expected early next year. The S.S. John Young Cygnus berthed with the station on Nov. 19, delivering approximately 7,400 pounds of cargo to the crew on board. Since the company’s first CRS mission in 2014, Northrop Grumman has delivered nearly 60,000 pounds of cargo to the orbiting laboratory (approximately the weight of 60 grand pianos). Click here for more information on November’s NG-10 mission, and stay tuned to our social media accounts for updates on the upcoming NG-11 mission.